Deadly Bird Flu In China Evolves, Spreads To New Regions : Goats and Soda In the 2017 outbreak, the Chinese government reported 759 cases of the H7N9 avian flu, with 281 deaths. By comparison, in 2016 there were 123 cases. A patient with the H7N9 avian flu is treated in a hospital in Wuhan, in central China's Hubei province, in February of this year. The 2017 outbreak was the deadliest in China since H7N9 first appeared in humans in 2013. As NPR reported in April, the virus has picked up mutations that make it more deadly in poultry and less susceptible to antiviral treatments. "Our research shows it can kill all the chickens in our lab within 24 hours," virologist Guan Yi told NPR. H7N9 isn't your run-of-the-mill bird flu. H7N9 is "the influenza virus with the highest potential pandemic risk," the CDC writes in the journal Morbidity and Mortality Weekly Report. In people, H7N9 can cause a severe form of pneumonia and progress into septic shock and multiorgan failure. "We know of only a small number of people who presented with influenza-like symptoms and then recovered without medical attention," the World Health Organization says. During the 2017 outbreak, the Chinese government reported 759 cases of H7N9. There were 281 deaths — about a third of those infected. By comparison in 2016 and 2015, the country reported 123 and 226 cases, respectively. 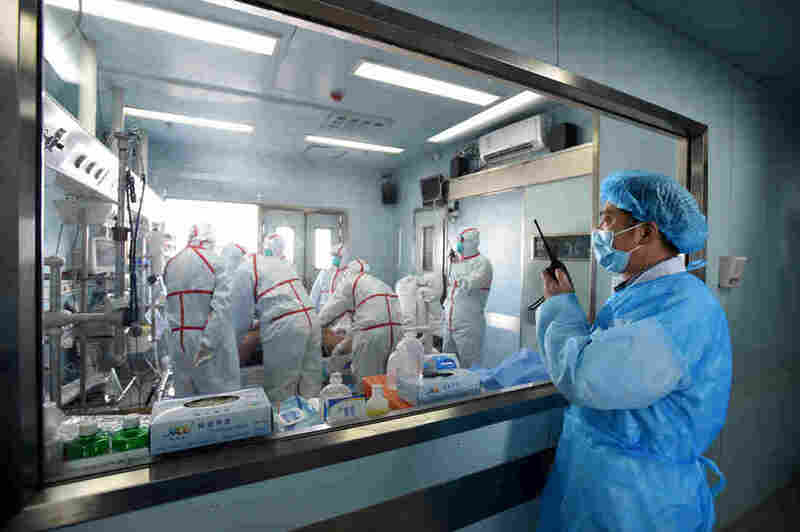 Although H7N9 has potential to evolve in a global threat, right now it has one severe limitation that restricts its potential to spread: The virus doesn't transmit easily between people. About 90 percent of people catch the virus by handling poultry. But person-to-person transmission is possible. During 2017, there were 14 clusters of cases in which a person passed the disease to at least one other person. Since March 2013, there have been 1,557 cases of H7N9 reported worldwide. All infections were caught in China, Hong Kong or Macao. Nearly 40 percent of those infections were deadly.